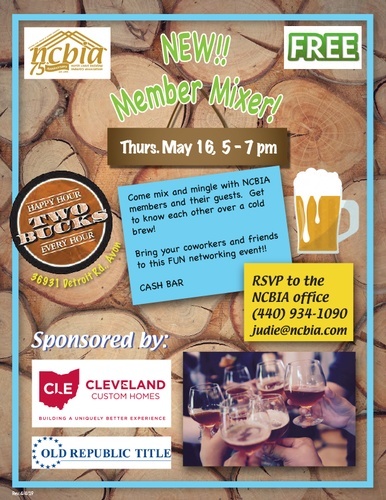 Come mix and mingle with NCBIA members and their guests. Get to know each other over a cold brew! Bring your coworkers and friends to this FUN networking event!! Free admission, cash bar.